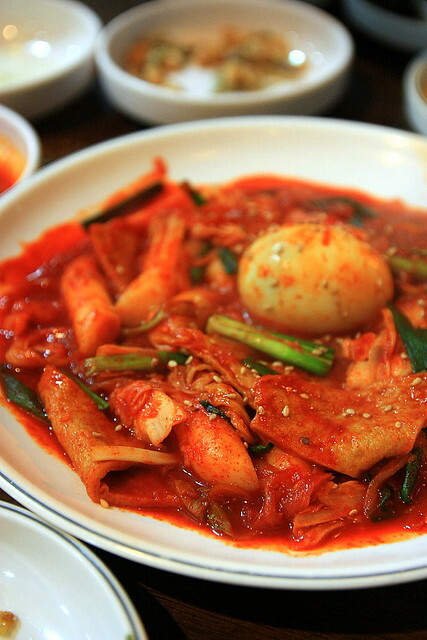 My love affair with Korean food started ever since I visited South Korea six years ago. 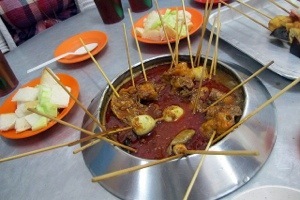 It led me to constantly search for good Korean restaurants in the Klang Valley. 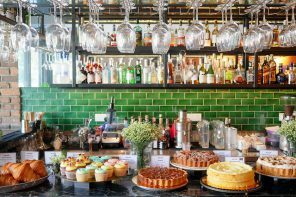 Recently, my good friend Ivy recommended Restaurant Seoul [email protected] Taman Danau Desa for its delicious and authentic Korean food and reasonable pricing. 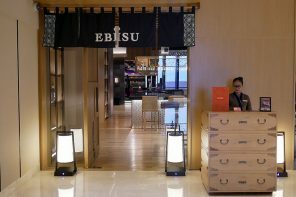 The restaurant is very popular and bustling with patrons. Despite occupying a large area on the second floor, the tables fill up quickly. We arrived at 7pm on a Saturday evening and we waited in queue for almost an hour! 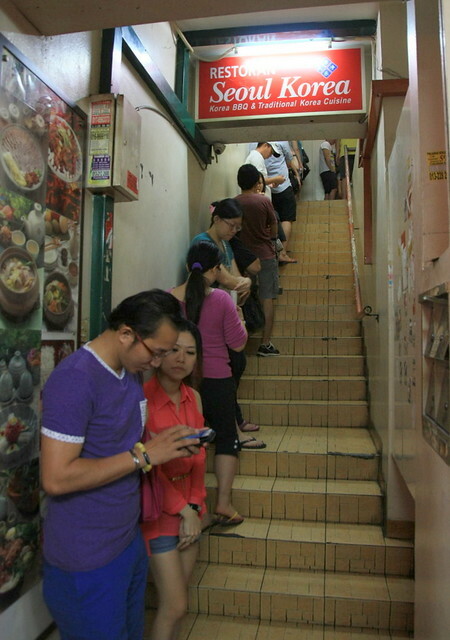 When it comes to good food, I really admire my countrymen’s persistence. 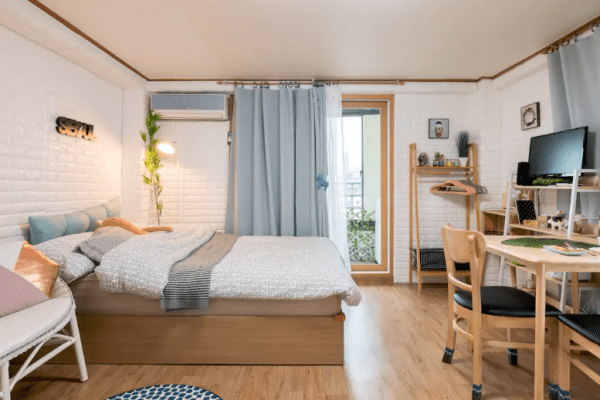 The restaurant’s interior is simple – all the wooden tables are equipped with grill stoves and chimney hoods overhead and the walls are crowded with Korean knickknacks. What I particularly like about dining at a Korean restaurant is the banchan, the small side dishes that are served to you when you arrive. 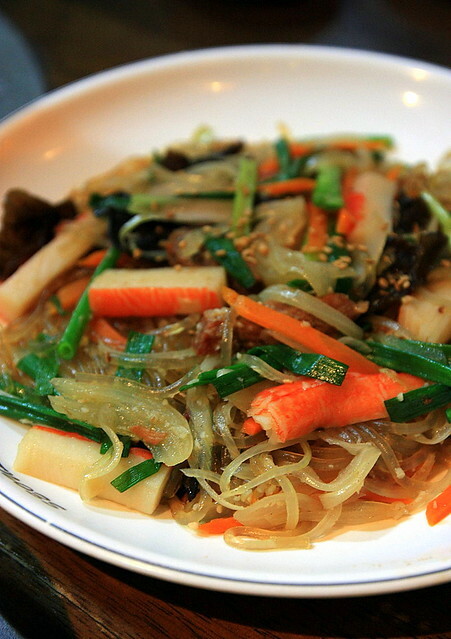 Seoul Korea has a good variety such as the obligatory kim chi, pickled cucumber, stir-fried bean sprouts, seaweed and okra. 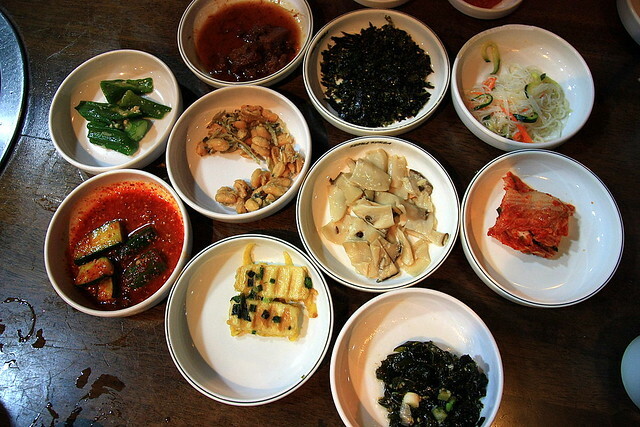 The banchan whetted our appetite and we did a few rounds of re-fills before our food arrived. 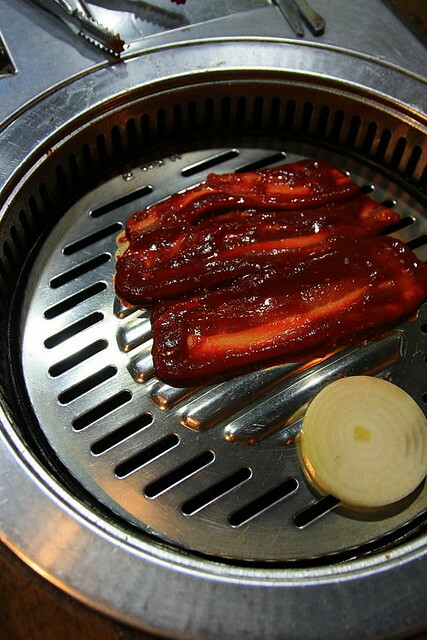 Korean barbecue is the specialty at Seoul Korea. We ordered dae-ji gal-bi (RM27) and dae-ji yang-nem sam-gyoub-sal (RM27) and the waiters were happy to grill the meat up at our table. 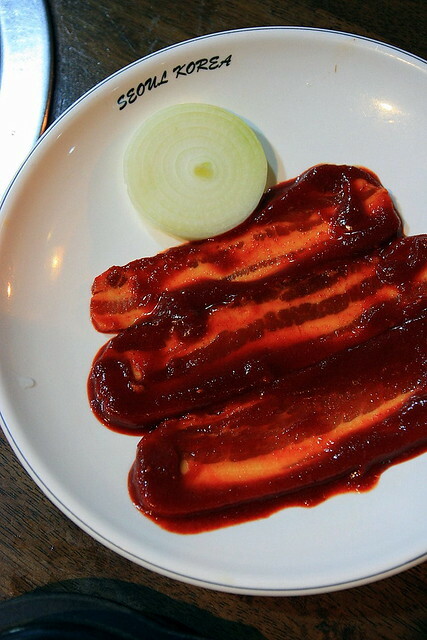 Dae-ji yang-nem sam-gyoub-sal is grilled pork belly slathered in a bright red marinade that had an intense, distinctly Korean flavour. It was peppery and spicy with a mild sesame oil taste. 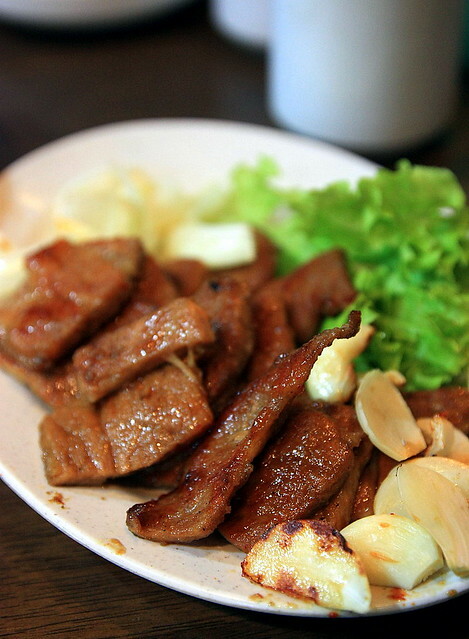 These grilled pork pieces were juicy, tender and flavourful with nice crispy edges. 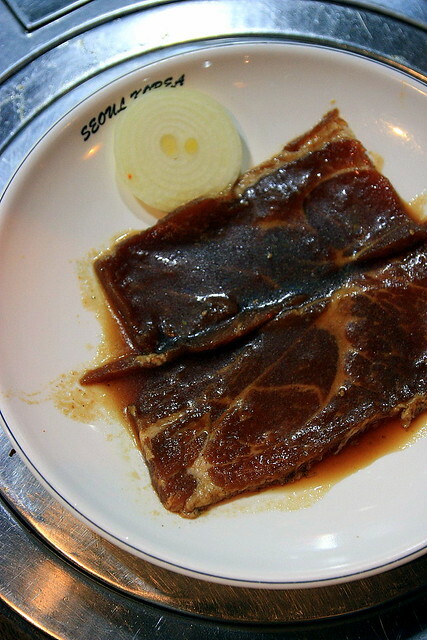 We prefer dae-ji gal-bi, aka pork ribs, as these came with a slightly sweet marinade that we really enjoyed. The jap chae (RM25), a sweet potato noodle dish with shiitake mushrooms, soy sauce and sesame oil, is full of umami goodness. 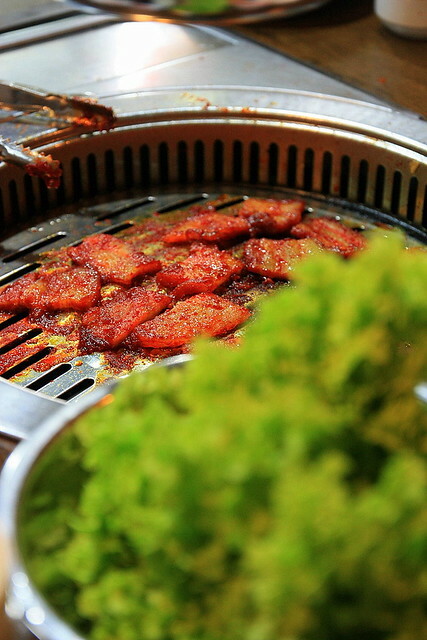 We also tried the tteokboki (RM25), spicy, slightly sweet and chewy rice cakes that were simply addictive! 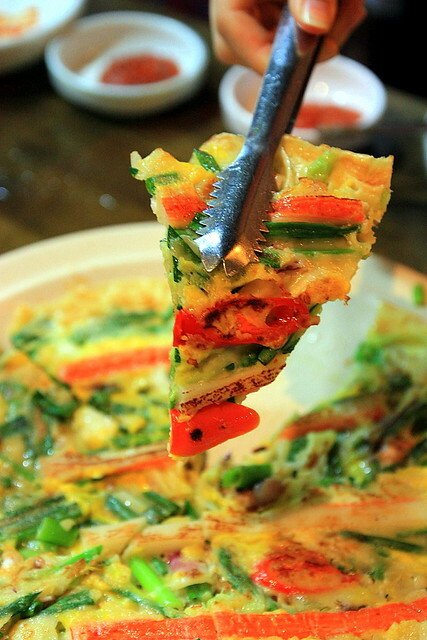 The haemul pajeon (RM25, seafood pancake) was a crowd pleaser. 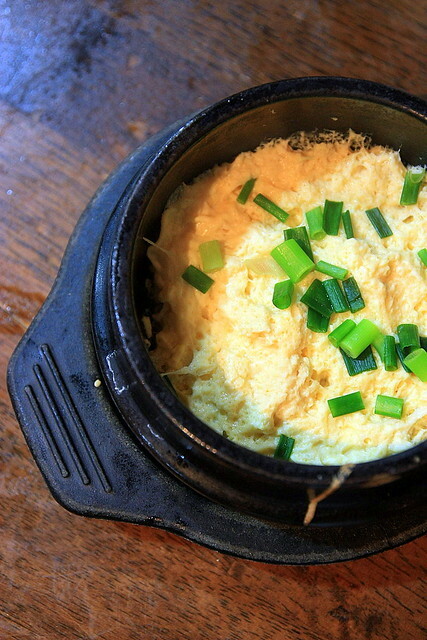 It was served hot and fresh and filled with fresh ingredients such as shredded carrot, onion, potato, kimchi and green onions. It was crunchy on the outside and soft on the inside, and it was very tasty throughout. 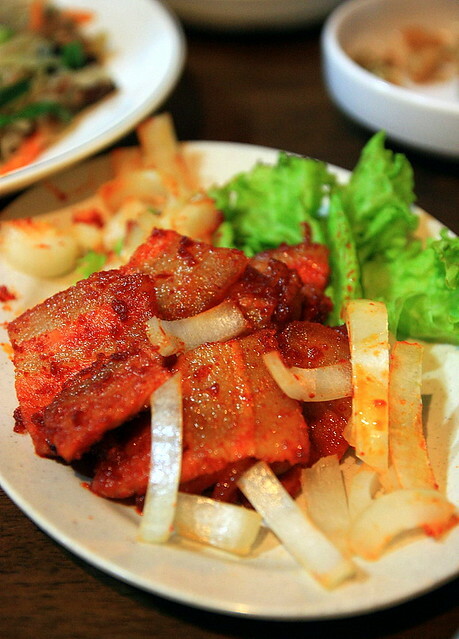 The kimchi jiggae (RM18), however, was disappointing. The broth was too sour and far from the thick and flavourful soup it should be. 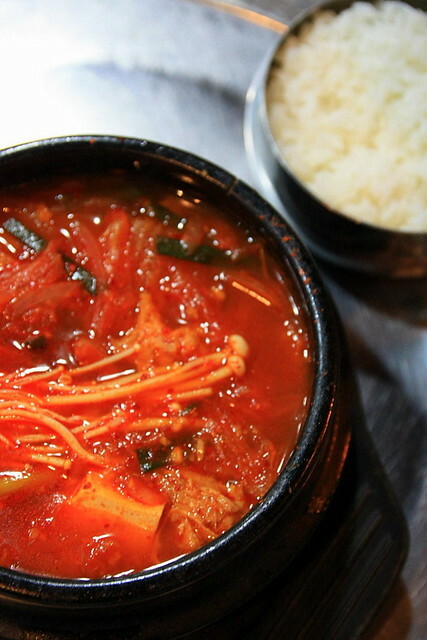 Seoul Korea is a great place to go to for excellent Korean food with reasonable pricing. The queues to get in are testament to its popularity, so it’s best to get here early. Reservation is only allowed for a private dining room with a minimum spend of RM150. 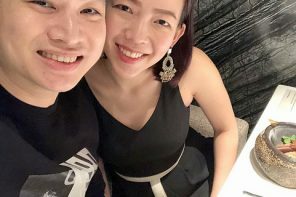 Hi i am kavin, its my first time to commenting anywhere, when i read this article i thought i could also create comment due to this sensible paragraph.